Zone 4. 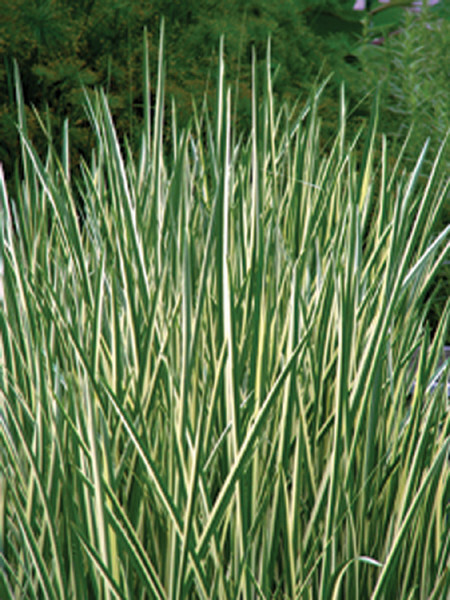 Variegated Sweet Flag. Beautiful green and cream stiped foliage persists all summer. Leaves are sweet scented when broken. Once used underfoot in doorways to create a welcoming aroma. 2' to 3' tall.